The Palatine Anthology, sometimes abbreviated AP, is the collection of Greek poems and epigrams discovered in 1606 in the Palatine Library in Heidelberg. It is based on the lost collection of Constantine Cephalas of the 10th century and it contains material from the 7th century BC until 600 AD and on was the main part of the Greek Anthology which included the Anthology of Planudes and more material. The manuscript of the Palatine Anthology was discovered by Saumaise in 1606 in the Palatine library at Heidelberg. 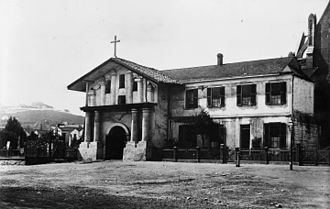 In 1623, after the Thirty Years War, it was sent with the rest of the Palatine Library to Rome as a present from Maximilian I of Bavaria to Pope Gregory XV and it was kept in the Vatican Library. 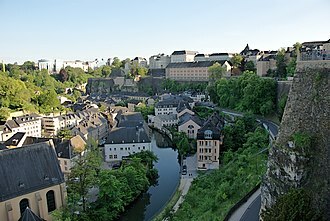 In 1797 it was taken to Paris by order of the French Directory and in 1816 it was returned to Heidelberg when the war ended, the manuscript of the Palatine Anthology consists of 709 pages. It was written by four scribes around 980, one of the scribes made comments and additions and part of the manuscript was corrected by a Corrector. The Greek Anthology is a collection of poems, mostly epigrams, that span the classical and Byzantine periods of Greek literature. Most of the material of the Greek Anthology comes from two manuscripts, the Palatine Anthology of the 10th century and the Anthology of Planudes of the 14th century and it contained poems by the compiler himself and forty-six other poets, including Archilochus, Alcaeus and Simonides. Meleagers Anthology was popular enough that it attracted additions, prefaces to the editions of Philippus of Thessalonica and Agathias were preserved in the Greek Anthology to attest to their additions of poems. The scholar Maximus Planudes made an edition of the Greek Anthology and his anthology was the only one known to Western Europe until 1606 when Claudius Salmasius found in the library at Heidelberg a fuller collection based on Cephalas. The copy made by Salmasius was not, published until 1776, the first critical edition was that of F. Jacobs. Since its transmission to the rest of Europe, the Greek Anthology has left an impression on its readers. Its influence can be seen on writers as diverse as Propertius, Ezra Pound, since full and uncensored English translations became available at the end of the 20th century, its influence has widened still further. e. The modern use of the word is a departure from the original sense, the term was soon extended to any piece by which these conditions were fulfilled. These causes came into operation during the Alexandrian era, in which we find every description of epigrammatic composition perfectly developed. About 60 BC, the sophist and poet Meleager of Gadara undertook to combine the choicest effusions of his predecessors into a body of fugitive poetry. 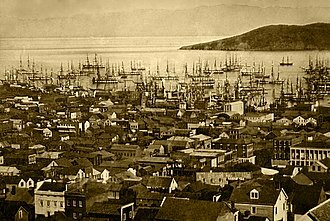 The arrangement of his collection was alphabetical, according to the letter of each epigram. In the age of the emperor Tiberius the work of Meleager was continued by another epigrammatist, Philippus of Thessalonica and his collection, which included the compositions of thirteen writers subsequent to Meleager, was arranged alphabetically, and contained an introductory poem. Ialysos is a town and a former municipality on the island of Rhodes, in the Dodecanese, Greece. Since the 2011 local government reform it is part of the municipality Rhodes, the municipal unit has an area of 16.700 km2. It is the second-largest town on the island of Rhodes and it has a population of approximately 11,300, and is located eight kilometres west of the town of Rhodes, the islands capital, on the islands northwestern coast. The town is situated near the site of the ancient Doric polis of Ialysos, the municipal unit consists of the town Trianta/Ialysos and the surrounding areas. While official sources use Trianta as a name for the town, Ialysos has in addition become a tourist destination, with several hotels and resorts located on the coast, especially in the new settlement of Ixia, situated between the towns of Ialysos and Rhodes. Being on the usually windward north-western coast of the island, it is a location for wind-surfing. The municipal unit has an area of 16.700 square kilometres. Greek lyric is the body of lyric poetry written in dialects of Ancient Greek. It is primarily associated with the early 7th to the early 5th centuries BC, sometimes called the Lyric Age of Greece, Greek lyric is the product of the political and intellectual milieu of the Greek polis. 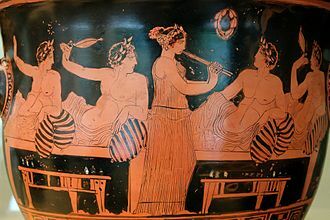 Much of Greek lyric is occasional poetry, composed for public or private performance by a soloist or chorus to mark particular occasions, the symposium was one setting in which lyric poems were performed. Lyric indicates that these poems were conceived of as belonging to the tradition of poetry sung or chanted to the accompaniment of the lyre, known as melic poetry. Modern surveys of Greek lyric often include relatively short poems composed for similar purposes or circumstances that were not strictly song lyrics in the sense, such as elegies. Greek lyric poems celebrate athletic victories, commemorate the dead, exhort soldiers to valor, and offer religious devotion in the forms of hymns, partheneia, maiden-songs, were sung by choruses of maidens at festivals. Love poems praise the beloved, express unfulfilled desire, proffer seductions, in this last mood, love poetry might blur into invective, a poetic attack aimed at insulting or shaming a personal enemy, an art at which Archilochus, the earliest known Greek lyric poet, excelled. The themes of Greek lyric include politics, sports, money, old age, the heroic past, the gods, and hetero- and homosexual love. In the 3rd century BC, the movement at Alexandria produced a canon of the nine melic poets, Alcman, Bacchylides, Pindar, Simonides. Only a small sampling of lyric poetry from Archaic Greece, the period when it first flourished, survives. For example, the poems of Sappho are said to have filled nine papyrus rolls in the Library of Alexandria, only one of Sapphos poems exists intact, with fragments from other sources that would scarcely fill a chapbook. Greek poetry meters are based on patterns of long and short syllables, apart from the shift between long and short syllables, stress must be considered when reading Greek poetry. Ostracism was a procedure under the Athenian democracy in which any citizen could be expelled from the city-state of Athens for ten years. 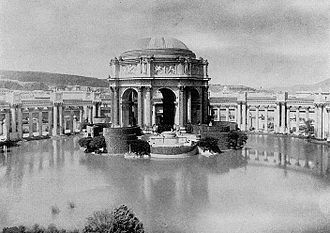 While some instances clearly expressed popular anger at the citizen, ostracism was often used preemptively and it was used as a way of neutralizing someone thought to be a threat to the state or potential tyrant. It has been called an honourable exile by scholar P. J. Rhodes, the word ostracism continues to be used for various cases of social shunning. 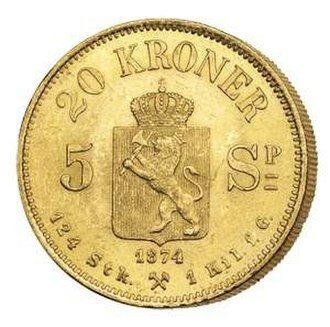 The name is derived from the ostraka, referring to the shards that were used as voting tokens. Broken pottery and virtually free, served as a kind of scrap paper, each year the Athenians were asked in the assembly whether they wished to hold an ostracism. The question was put in the sixth of the ten months used for business under the democracy. If they voted yes, an ostracism would be two months later. The presiding officials counted the ostraka submitted and sorted the names into separate piles, according to a fragment of Philochorus, the winner of the ostracism must have obtained at least 6,000 votes. The person nominated had ten days to leave the city, if he attempted to return, the penalty was death. Notably, the property of the man banished was not confiscated, after the ten years, he was allowed to return without stigma. Similarly, ostracised in 461 BC, was recalled during an emergency, Ostracism was crucially different from Athenian law at the time, there was no charge, and no defence could be mounted by the person expelled. The two stages of the procedure ran in the order from that used under almost any trial system — here it is as if a jury are first asked Do you want to find someone guilty. And subsequently asked Whom do you wish to accuse, equally out of place in a judicial framework is perhaps the institutions most peculiar feature, that it can take place at most once a year, and only for one person. In this it resembles the Greek pharmakos or scapegoat — though in contrast, by contrast, an Athenian trial needed the initiative of a particular citizen-prosecutor. While prosecution often led to a counterattack, no response was possible in the case of ostracism as responsibility lay with the polity as a whole. Xanthippus was a wealthy Athenian politician and general during the early part of the 5th century BC. He was the son of Ariphron and father of Pericles and he is often associated with the Alcmaeonid clan. Although not born to the Alcmaeonidae, he married into the family when he wed Cleisthenes niece Agariste and he distinguished himself in the Athenian political arena, championing the aristocratic party. His rivalry with Themistocles led to his ostracism, only to be recalled from exile when the Persians invaded Greece and he distinguished himself during the Greco-Persian Wars making a significant contribution to the victory of the Greeks and the subsequent ascendancy of the Athenian Empire. As a citizen-soldier of Athens and a member of the aristocracy, Xanthippus first appears in the historical record the following year, when he led the prosecution of Miltiades the Younger, the general who led Athenians to victory at Marathon. The Athenians granted his wish, but when he met with set-backs and injury during an attack on Paros he had to return empty handed, many Athenians suspected him of deceiving them. He died there of his wounds, Athenians would come to regret their treatment of their war hero, but immediately following the trial Xanthippus became the pre-eminent politician of the day, if only briefly. Xanthippus leadership was short lived due to the rise of Themistocles, the lower classes had begun to flex their political muscle with Themistocles, and the results of the ostracisms reflected their new-found power. 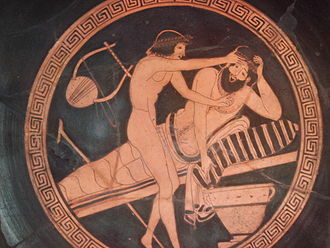 There were 5 prominent ostracisms of aristocrats during the clashes of the 480s BCE. Xanthippus was ostracised in 484 BCE, normally, an ostracism led to a 10-year exile. But when the Persians returned to attack Greece in 480 BCE, the rival politicians settled their differences and prepared for war. The dog was so loyal that it jumped into the sea and swam after Xanthippus boat, managing to swim across to the isle, in Plutarchs day there was still a place on Salamis called the dogs grave. Xanthippus was elected to the position of eponymous archon the following year, at that time a large force of Persian infantry still remained in Greece and Athens was still under threat. Simonides of Ceos was a Greek lyric poet, born at Ioulis on Ceos. 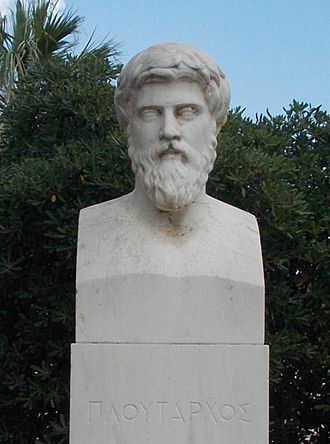 The scholars of Hellenistic Alexandria included him in the canonical list of nine lyric poets, along with Bacchylides, both Bacchylides and Pindar benefited from his innovative approach to lyric poetry and he was more involved than either of them in the major events and personalities of their times. Such accounts include fanciful elements yet he had a influence on the sophistic enlightenment of the classical era. His fame as a poet rests largely on his ability to present basic human situations with affecting simplicity, few clear facts about Simonides life have come down to modern times in spite of his fame and influence. Ancient sources are uncertain even about the date of his birth, according to the Byzantine encyclopaedia, Suda, He was born in the 56th Olympiad or according to some writers in the 62nd and he survived until the 78th, having lived eighty-nine years. Other ancient sources have awkward consequences, the Parian Marble is known to be unreliable and possibly it was not even the grandfather but a grandson that won the aforementioned victory in Athens. 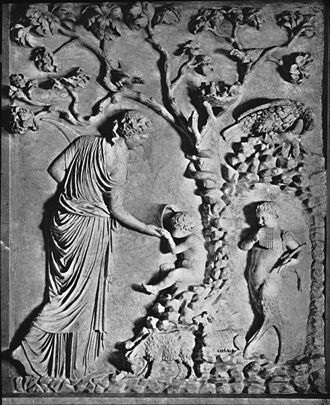 According to the Suda, this grandson was yet another Simonides, Simonides is identified in the Suda as the son of a Leoprepes. 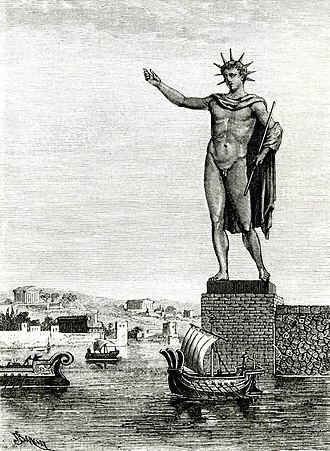 He was born in Ioulis on Ceos, the outermost island of the Cyclades, the innermost island, was the reputed birthplace of Apollo, where the people of Ceos regularly sent choirs to perform hymns in the gods honour. Carthaea, another Cean town, included a choregeion or school where choirs were trained, the grandfather of Simonides nephew, was one of the islands notable athletes. These were two of the most powerful families in the Thessalian feudal aristocracy yet they seemed notable to Greeks such as Theocritus only for their association with Simonides, thessaly at that time was a cultural backwater, remaining in the Dark Ages until the close of the 5th century. 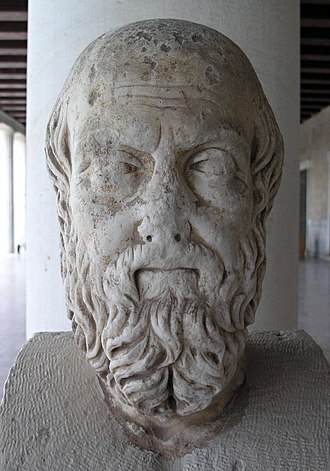 According to an account by Plutarch, the Ionian poet once dismissed the Thessalians as too ignorant to be beguiled by poetry, among the most colourful of his ignorant patrons was the head of the Scopadae clan, named Scopas. 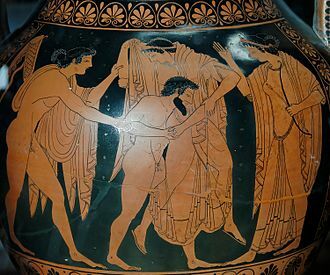 Simonides embellished his ode with so many references to the twins Castor, Simonides however ended up getting much more from the mythical twins than just a fee, he owed them his very life. According to this story he was called out of the feast hall to see two visitors who had arrived and were asking for him – presumably Castor and Pollux, as soon as he left the hall, it collapsed, killing everyone within. These events were said to have inspired him to develop a system of mnemonics based on images and places called the method of loci, the method of loci is one component of the Art of memory. According to Plutarch, the Cean had a statue of himself made about this time, the last years of the poets life were spent in Sicily where he became a friend and confidant of Hieron of Syracuse. According to a scholiast on Pindar, he acted as peace-maker between Hieron and another Sicilian tyrant, Theron of Acragas, thus ending a war between them. Scholiasts are the authority for stories about rivalry between Simonides and Pindar at the court of Hieron, traditionally used to explain some of the meanings in Pindars victory odes. In Greek and Roman mythology and Pollux, or Kastor and Polydeuces, were twin brothers, together known as the Dioscuri or Dioskouroi. Their mother was Leda, but they had different fathers, Castor was the son of Tyndareus, the king of Sparta, while Pollux was the divine son of Zeus. Though accounts of their birth are varied, they are said to have been born from an egg, along with their twin sisters or half-sisters Helen of Troy. In Latin the twins are known as the Gemini or Castores. When Castor was killed, Pollux asked Zeus to let him share his own immortality with his twin to keep them together, the pair were regarded as the patrons of sailors, to whom they appeared as St. Elmos fire, and were associated with horsemanship. 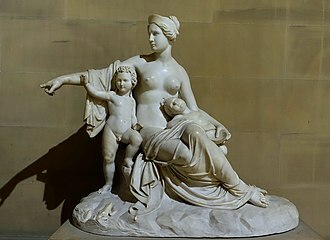 They are sometimes called the Tyndaridae or Tyndarids, seen as a reference to their father and stepfather Tyndareus, the best-known story of the twins birth is that Zeus disguised himself as a swan and seduced Leda. Thus Ledas children are said to have hatched from two eggs that she produced. The Dioscuri can be recognized in vase-paintings by the skull-cap they wear, the pilos, whether the children are thus mortal or half-immortal is not consistent among accounts, nor is whether the twins hatched together from one egg. In some accounts, only Pollux was fathered by Zeus, while Leda and this explains why they were granted an alternate immortality. It is a belief that one would live among the gods. Castor and Pollux are sometimes both mortal, sometimes both divine, one consistent point is that if only one of them is immortal, it is Pollux. 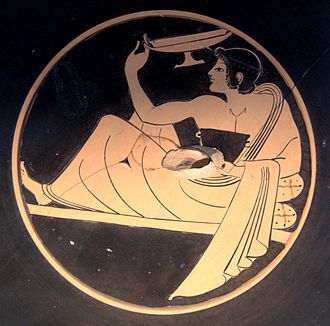 In Homers Iliad, Helen looks down from the walls of Troy, the narrator remarks that they are both already dead and buried back in their homeland of Lacedaemon, thus suggesting that at least in some early traditions, both were mortal. 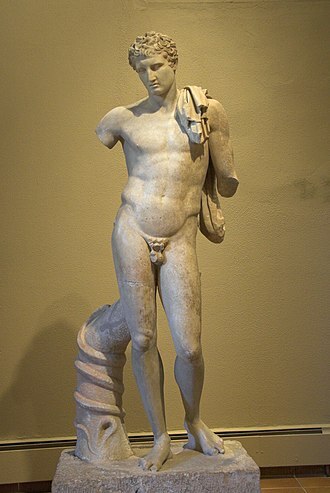 Their death and shared immortality offered by Zeus was material of the lost Cypria in the Epic cycle, the Dioscuri were regarded as helpers of humankind and held to be patrons of travellers and of sailors in particular, who invoked them to seek favourable winds. Themistocles was an Athenian politician and general. He was one of a new breed of politicians who rose to prominence in the early years of the Athenian democracy. As a politician, Themistocles was a populist, having the support of lower class Athenians, elected archon in 493 BC, he convinced the polis to increase the naval power of Athens, a recurring theme in his political career. During the first Persian invasion of Greece, he fought at the Battle of Marathon, in the years after Marathon, and in the run up to the second Persian invasion he became the most prominent politician in Athens. He continued to advocate a strong Athenian navy, and in 483 BC he persuaded the Athenians to build a fleet of 200 triremes, during the second invasion, he was in effective command of the Greek allied navy at the battles of Artemisium and Salamis. After the conflict ended, Themistocles continued to be pre-eminent among Athenian politicians, however, he aroused the hostility of Sparta by ordering Athens to be re-fortified, and his perceived arrogance began to alienate him from the Athenians. 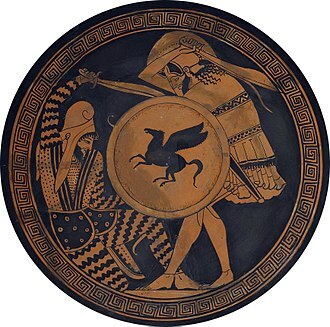 In 472 or 471 BC, he was ostracised, and went into exile in Argos, the Spartans now saw an opportunity to destroy Themistocles, and implicated him in the treasonous plot of their own general Pausanias. He was made governor of Magnesia, and lived there for the rest of his life, Themistocles died in 459 BC, probably of natural causes. 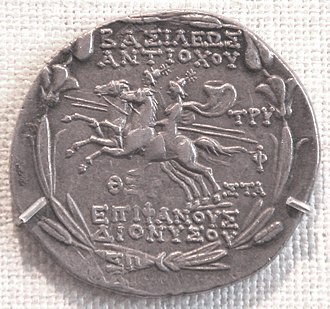 Themistocless reputation was rehabilitated, and he was re-established as a hero of the Athenian cause. Themistocles can still reasonably be thought of as the man most instrumental in achieving the salvation of Greece from the Persian threat and his naval policies would have a lasting impact on Athens as well, since maritime power became the cornerstone of the Athenian Empire and golden age. Themistocles was born in Athens around 524 BC, the son of Neocles and his mother is more obscure, according to Plutarch, she was either a Thracian woman called Abrotonon, or Euterpe, a Carian from Halicarnassus. Like many contemporaries, little is known of his early years, some authors report that he was unruly as a child and was consequently disowned by his father. Corinthian vase depicting Perseus, Andromeda and Ketos; the names are written in the archaic Greek alphabet. Simonides was popularly accredited with the invention of four letters of the revised alphabet and, as the author of inscriptions, he was the first major poet who composed verses to be read rather than recited. Coincidentally he also composed a Dithyramb on the subject of Perseus that is now one of the largest fragments of his extant verses. Lyric Poetry, painted by Henry Oliver Walker (Thomas Jefferson Building, Washington D.C.). "Simonides calls painting silent poetry and poetry painting that speaks"—Plutarch. 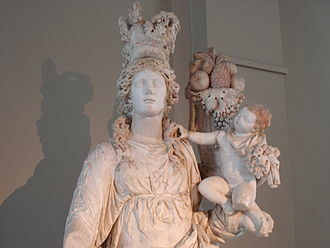 Eirene with the infant Ploutos: Roman copy after Kephisodotos' votive statue, c. 370BCE, in the Agora, Athens. 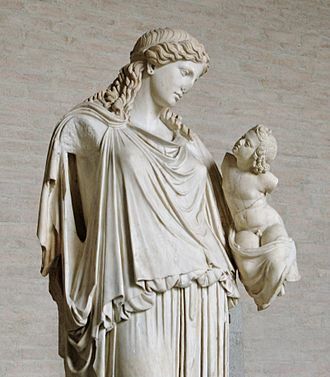 Polychrome marble statue depicting the goddess Tyche holding the infant Plutus in her arms, 2nd century AD, Istanbul Archaeological Museum. Beginning of the Anthologia Palatina, main part of The Greek Anthology. Scan by the Gesellschaft der Freunde Universität Heidelberg e. V.
The van Bosch and van Lennep version of The Greek Anthology (in five vols., begun by Bosch in 1795, finished and published by Lennep in 1822). Photographed at The British Museum, London. Contains the metrical Latin version of Grotius's Planuedean version of the Anthology. Heavily illustrated. It also reprints the very error-prone Greek text of the Wechelian edition (1600) of the Anthology, which is itself simply a reprint of the 1566 Planudean edition by Henricus Stephanus. 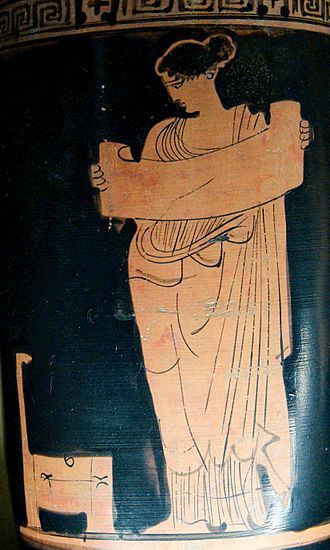 Attic lip cup with the signature of the potter Xenokles, circa 540/530 BC; Antikensammlung Berlin.